What a name! Moo Free Chocolates. Isn't it great to know what you're getting straight away? This post tells you all about how this company came about, what they sell, why they created it and more. Ooh and there's a present for you at the bottom of the post! What do Moo Chocolates specialise in selling? 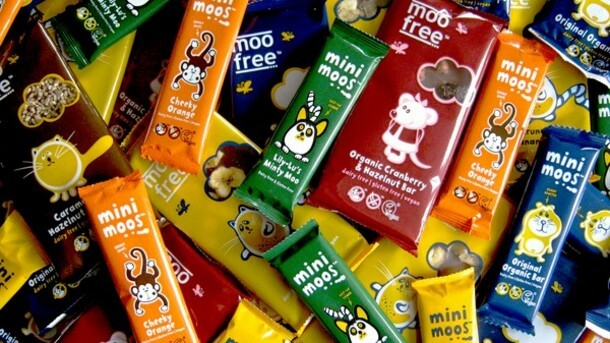 Moo Free is a leading manufacturer of vegan, dairy free, gluten free and organic confectionery products that actually taste like milk chocolate. To achieve this we have replaced cow’s milk with rice milk to create a delicious, milk chocolate taste that doesn't require a single cow. As well as being dairy free all of our chocolates are also gluten free, wheat free, lactose free, casein free, egg free, suitable for vegetarians & vegans & made from organic and fair trade ingredients. We are based in Reading Berkshire and all our products are made on site here. Moo Free is a trusted brand and our products are stocked by many retailers, supermarkets and online stockists around the world. We have a list on known stockist on our website which makes Moo Free accessible to everyone. What inspired you to create a business that solely focuses on plant-based chocolate? Moo Free chocolates have animal characters on each bar. These characters belong to people within the company. Hammy Hamster is the director and this is her story. Hammy Hamster loved both of her baby hamsters very much but felt very sad as one of them could not eat dairy products due to a dairy intolerance. In those days it was very hard to find milk alternatives and at Easter she only managed to find a yukkie carob Easter egg, which did not taste like chocolate at all. Even soya products were few and far between and had a funny after taste. She faced a dilemma; should both baby hamsters go without an Easter egg? This decision was taken out of her control as other Hamsters gave the dairy intolerant baby hamster milk chocolate Easter eggs. She then had to take them away from the baby hamster. It was hard for that baby hamster to understand. Hammy Hamster decided to find another way. After a few years of experimenting Hammy finally did it. She had created a smooth, creamy tasking chocolate that required no cows milk what so ever. Remembering the disappointment of her baby at Easter, Hammy decided to make some dairy free Easter eggs. After several chocolate tasting trials the scrummy Easter eggs were finally ready. They were so delicious that all the baby hamsters loved them, even those that didn't have to have dairy free chocolate. Hammy Hamster and her friends are now hard at work making lots more dairy free chocolates that are also gluten free, wheat free, egg free, vegetarian and vegan as well. We don't normally have a problem sourcing cruelty free ingredients. The only thing that we have had a problem with so far are freeze dried banana chips. For some reason if you want to use organic, freeze dried banana chips then you will find that one of the ingredients that the manufacturers insist on adding to these is honey. Instead we have to buy non-organic banana chips which thankfully (because the banana bar is lush) are honey free. Do these ingredients effect the outcome in comparison with non plant-based chocolates? No, there is no reason to add honey to banana chips. So little is added that it will make no difference to the flavour. For someone who hasn't tasted your range before & is indecisive about what to buy; is there a particularly popular one you can name? The Mini Moo bunnycomb has got to be the absolute winner with both children and adults. Although, we have just launched a new Mini Moos Cheeky Orange bar which is proving extremely popular so watch this space! Moo Free is a limited company and therefore not in partnership with anyone. 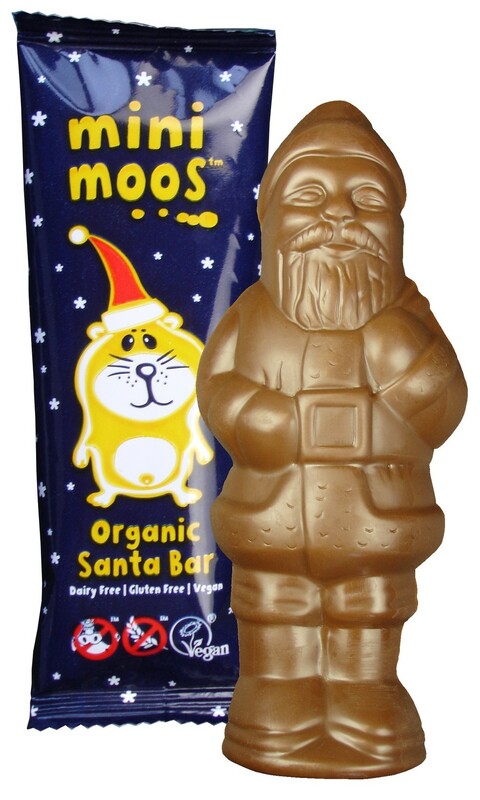 Before we launched Moo Free at the end of 2010 my wife and I ran a website retailing vegan and free from chocolates. 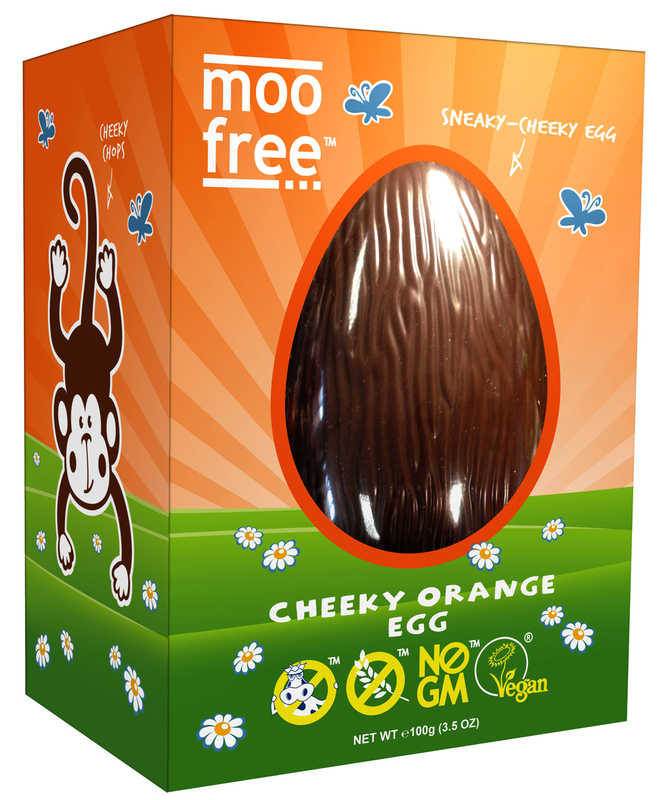 Over the years many desperate parents of both vegan children and children with dairy allergies contacted us in search of “milk” chocolate Easter eggs and advent calendars for their children. We searched the world for manufacturers and supplies but could find no-one. Finally in 2008 we decided that we would try and help these people and make it ourselves. So, over the next two years we firstly worked out how to make chocolate and then how to make a great tasting milk chocolate but without using any milk. What is your vision for the future of Moo Free Chocolates? To be the worlds best vegan and dairy free chocolate.